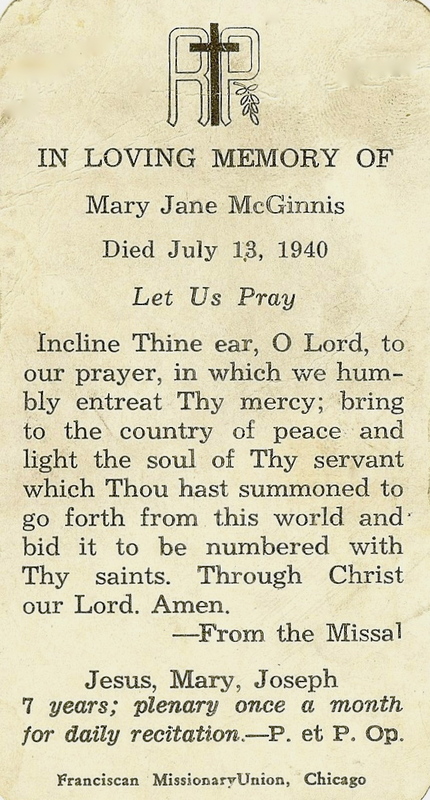 My maternal great-grandmother, Mary Jane “Janie” McGinnis, died at 7:15 in the morning of July 13, 1940, at the home of her eldest child, Benita (McGinnis) McCormick, of pernicious anemia, from which she had suffered for two years, along with chronic kidney disease. Pernicious anemia is caused by the intestine’s inability to absorb Vitamin 12. The absence of this vitamin makes it hard for iron levels to remain normal in the body. 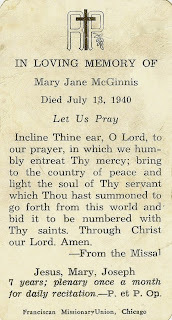 Between this and the kidney disease, Mary Jane’s 81-year-old body had become increasingly weak and frail, though her granddaughters, Joan (Schiavon) Huesca (my mother) and Jane (McCormick) Olson recalled that her mind was sharp until the end. 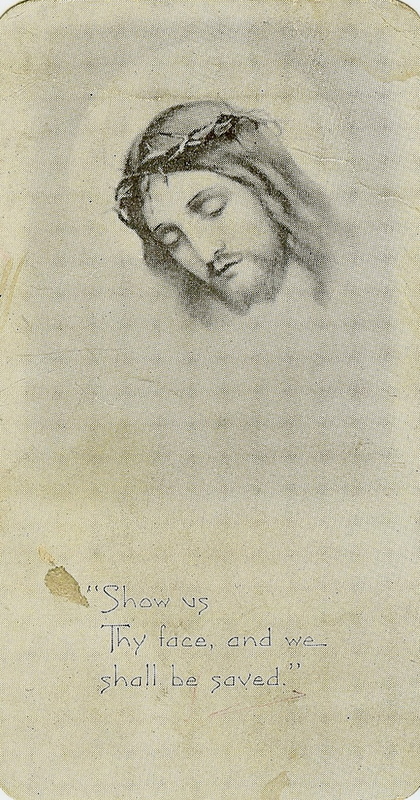 Janie was buried at Holy Sepuchre Cemetery in Worth, Illinois, next to her husband, Tom. Years later they would be joined by their eldest son Eugene McGinnis, and youngest daughter, Alice (McGinnis) Schiavon (my grandmother). It must have been hard for the whole family – her surviving brother and sisters, her children and her grandchildren – to say their final goodbyes to this great lady who had been the center of their lives for so long. Still, they would always remember her with great affection and admiration, imbuing this love for her and for Tom, in their own families, some of whom were born too late to know them personally but heard countless stories about them around the dinner table many a Sunday evening.